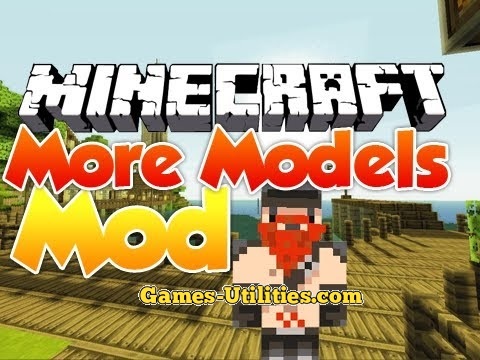 More Player Models Mod for Minecraft is surfaced. This mod is a completely different mod from others, it allows you to change your model to furry, orc, female, elf, dwarf and much more. You can also alter you hair styles to long hairs and you can change your beard all can be done according to your wish. We assume that you are already liking this mod so check it out. Description: A tool which changes your player model. Now you have to run minecraft with logging in. Then go to the options bar. Now check on the game location on the hard disk. Remember you should have Risugami’s modloader. You now have installed the More Player Models Mod. Read the skinning guide on how to activate it. So guys enjoy playing More player models mod and don’t forget to comeback here and check the latest updates of your favorite game Minecraft. If you are facing some problems related to installing this mod just let others know via comment section maybe there is a solution.